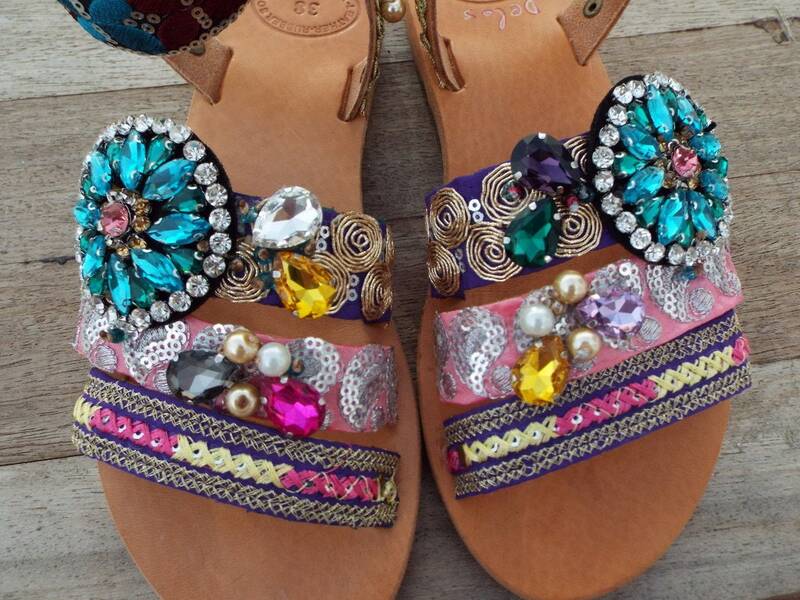 So comfortable sandals, embelished with gold, turquoise and pink lace. INCREDIBLE INCREDIBLE INCRERDIBLE. 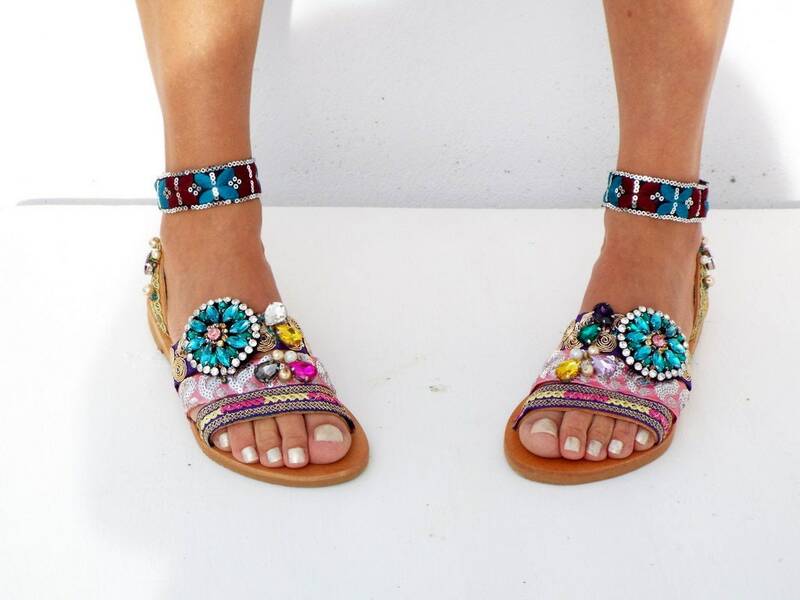 Beautiful shoes, very very comfortable and true to the size.